The San Francisco wrongful death lawyers at our firm understand that no accidents are tougher on area families than those that take the life of a loved one. All losses are difficult, but there is something especially tragic about those deaths that are caused by the negligence of another. Far too frequently that misconduct involves improper driving on our area roadways. Deaths in traffic accidents remain one of the most common forms of fatal accidents. “Accidental” is a bit of misnomer, as most of these crashes can be traced back to unsafe and sometimes reckless conduct on the part of someone involved in the crash. For example, CBS San Francisco reported last week on a tragic San Francisco bicycle accident that took the life of a local man. Fifty-seven year old Robert Eugene White of Ryde was killed on state Highway 113 when his bike was hit from behind on Sunday afternoon. Officials are still conducting investigations to figure out exactly what happened. However, as it now stands, investigators believe that the man was riding his bicycle northbound on the highway around two in the afternoon in an unincorporated part of Solano County. While peddling on the edge of the road a car driven by a twenty-one year old young man came up behind him. Authorities believe that the driver began to pass the bicyclist, but for reasons still undetermined, he swerved and actually hit Mr. White. As most would expect, Mr. White was thrown from his bike by the impact. He ultimately landed on the windshield of the car that hit him before ending up on the shoulder of the road. Unfortunately, as often happens when a bicyclist is hit by a speeding car, the man’s injuries were quite severe and he did not survive the collision. It is tragic to hear about these preventable accidents. Sadly, events just like this occur all the time on roadways inside and outside the city. 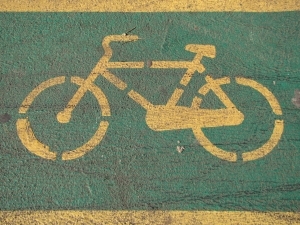 Many car and truck drivers fail to understand that they must share the road with cyclists. As a result, many bike riders fall victim just like the man in this latest accident. When this occurs, it is almost always a clear case of negligence. No driver who abides by reasonable standards of care when behind the wheel would hit a bicyclist while trying to pass him. The civil law is clear when it comes to sorting out liability in many of these accidents. Those who are harmed are able to hold the wrongdoer liable any time that wrongdoer owed a duty, breached that duty, and caused injury. All drivers owe a duty to fellow travelers, and that duty is breached causing injury when their vehicle strikes another. The San Francisco bicycle accident attorneys at the Brod Law Firm have worked with many who have suffered all forms of injury in San Francisco bike accidents. Victims and their families should remember that they have legal rights under the law to receive compensation for the harm that they suffer at the hands of others. It is important not to handle these affairs with the other party or an insurance company on your own. All victims need a professional advocate in their corner ensuring that they have a trained legal voice speaking up for their interests. If you find yourself in this situation, please considering giving us a call to share your story and learn how we can help.